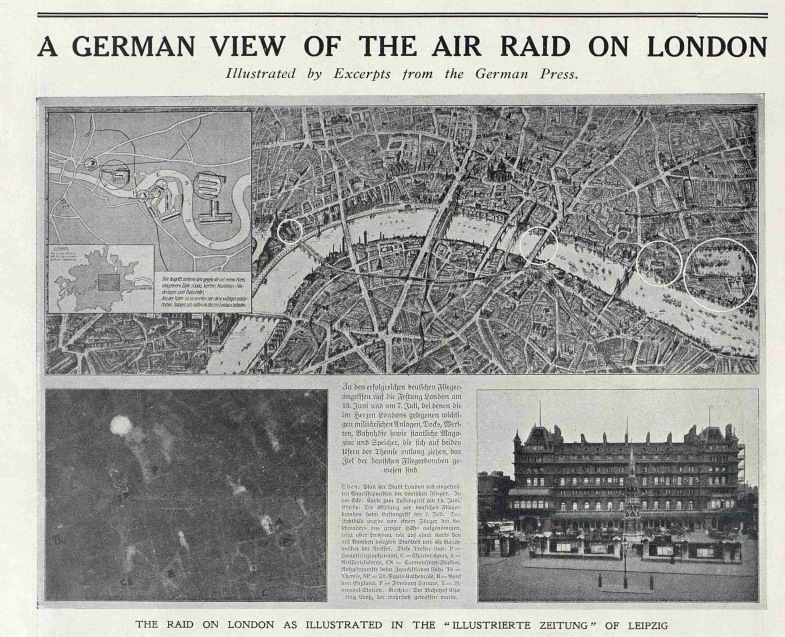 The horrors of London besieged from above during the second world war are all well too documented. We've all seen the images of St Paul's shrouded in smoke, of buses ploughed headfirst into blown-up roads, and of plucky Londoners sifting through the remains of their former homes. Of course, the capital was embattled by air raids quarter of a century previous — with raids raining down bombs from as early as 1915. 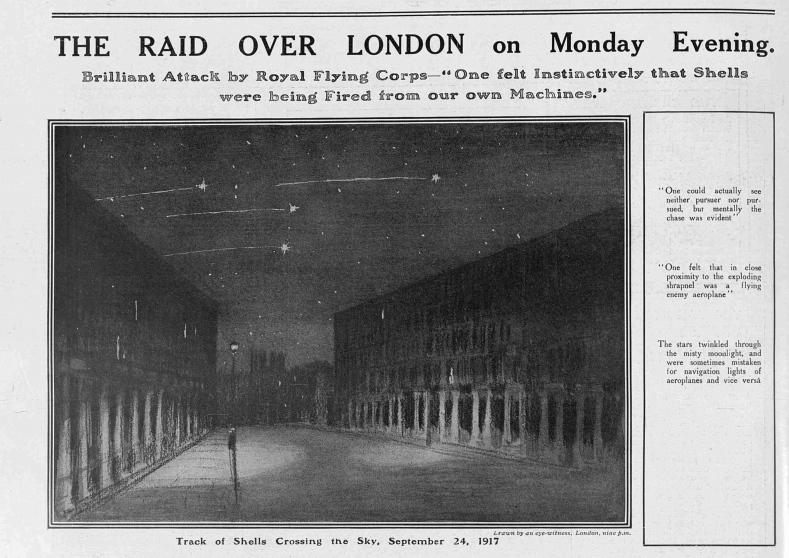 These images, taken from the British Newspaper Archive, recall a time when Londoners were opening up their newspapers to startling images of the enemy above. 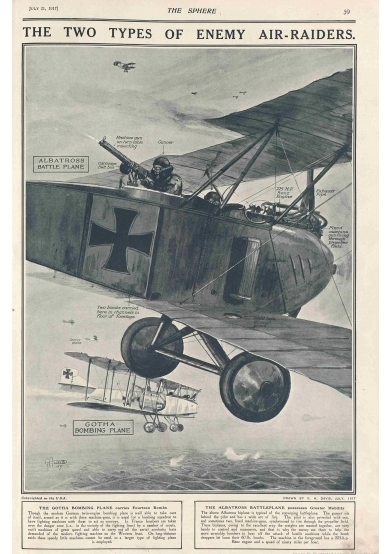 In the images above and below from The Graphic and The Sphere in July 1917, it's perhaps surprising to see the Germans depicted close-up, as men. The language too ("the pilot is also provided with one, and sometimes two, fixed machine guns, synchronised to fire through the propeller field") is oddly technical, with little hint of malaise. 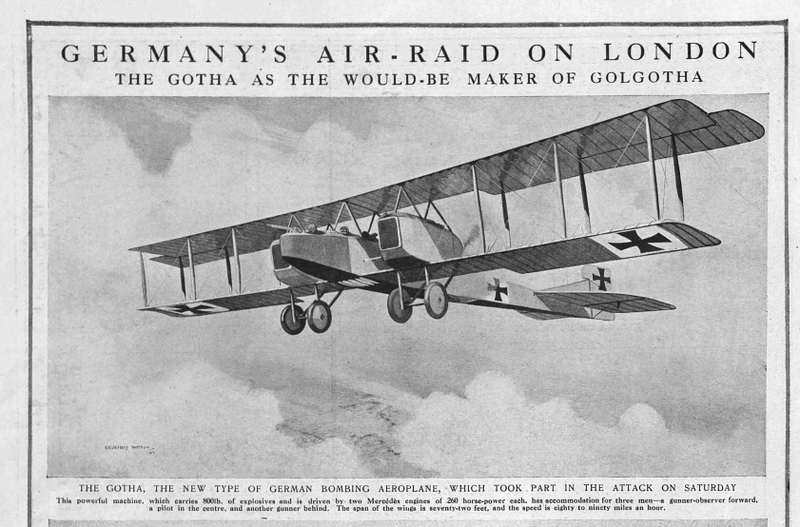 Many of these pieces cover the Gotha aeroplane raids, which began in May 1917. 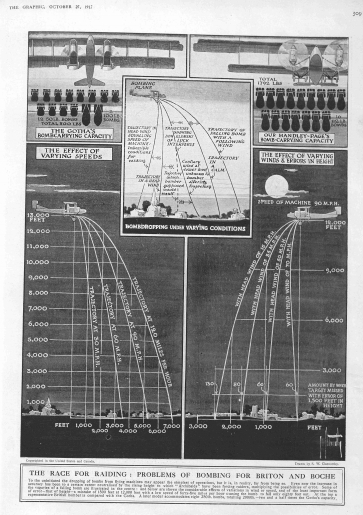 Again, these diagrams of such raids, entitled 'How the Raiders Came and Went' and 'How the Bombing and Battleplanes arrived' have an almost disconcerting coolness to their tone. Stiff upper lip is one thing, but this is decidedly distant. Nonetheless, it makes compelling reading. 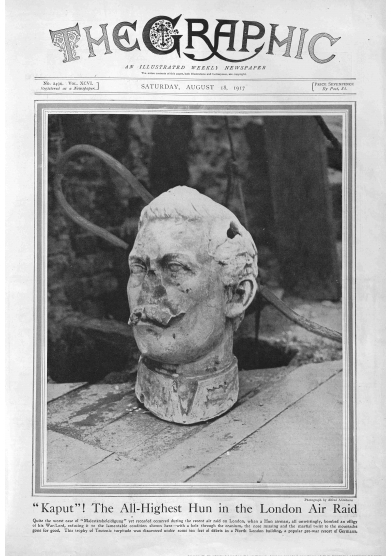 Equally, if not more, fascinating is this piece from The Sphere in August 1917, in which the English publication reprints the German press' reports of 'successful' campaigns. 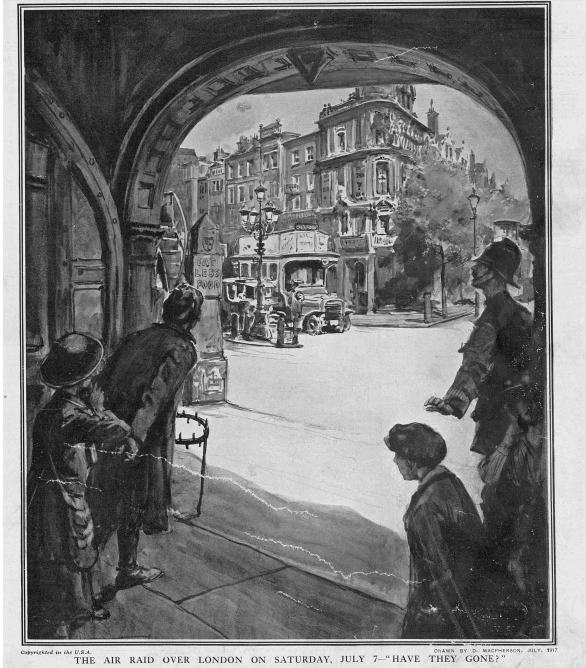 London itself is described by the Illustrierte Zeitung as a 'fort' — a loaded word if ever we heard one. But again the British paper remains relatively cool in its voice throughout. 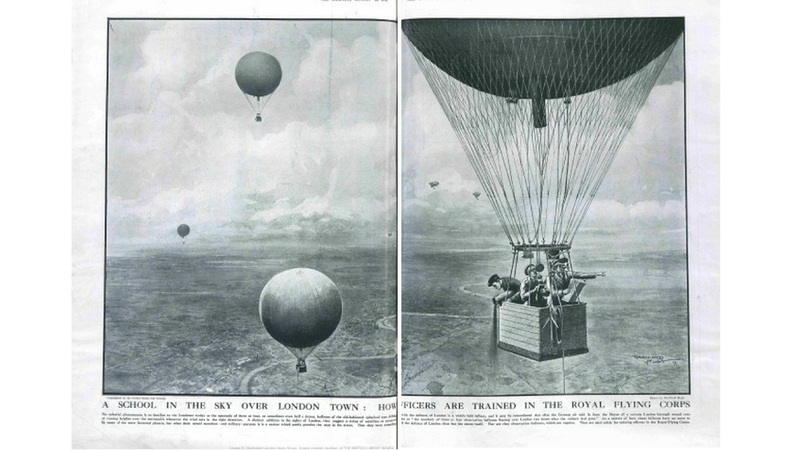 A Brit's-eye-view was sometimes provided too — such as in this image of the Royal Flying Corps training in balloons, with the Thames snaking beneath them. Emotions do run high in other pieces of the time, with the Brits are painted in heroic light. 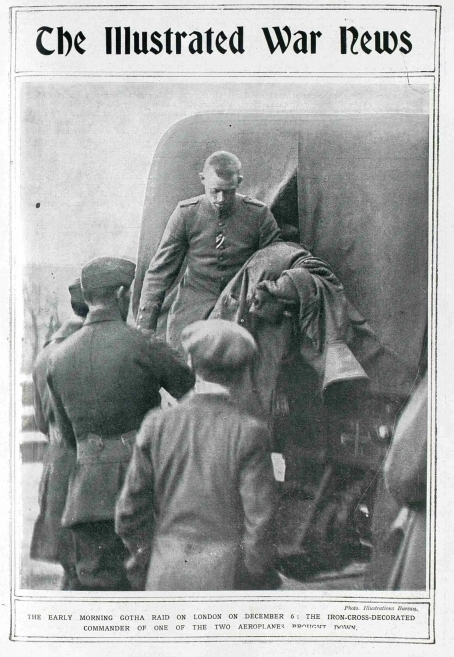 "The sky was filled with bursting shrapnel," recounts a bus conductress, in The Sphere article below, "but between the stars of light I watched our men circle round the enemy planes, and heard them drive them on." "Have they gone?" is the caption for an illustrated piece, which shows an apprehensive bobby holding back a young boy. It brings the message home that Londoners had never experienced anything like this before. 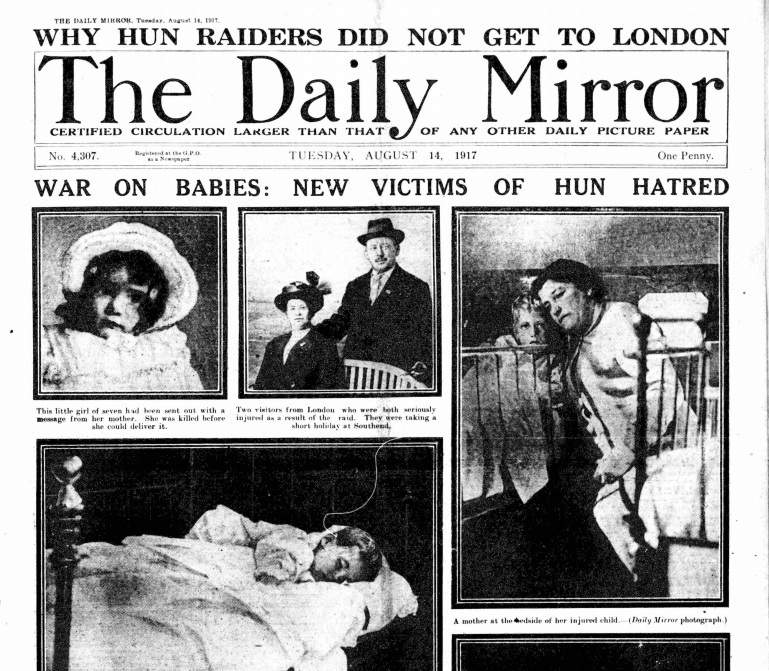 And the Germans really get the boot from The Daily Mirror, in this 'War on Babies' headline, featuring photographs of those killed and maimed in the attacks. It sets a precedent for the bashing Hitler would receive from the London press, just over a couple of decades later.